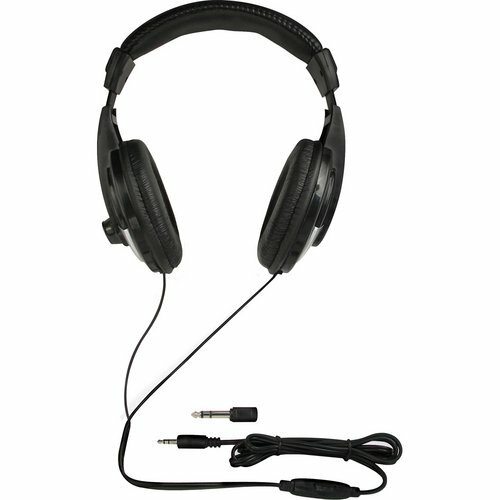 The QH-200 studio headphones by Nady are comfortable and economical and work great for a variety of use scenarios. These headphones are closed back and promote comfort, heavily padded headband and ear cups for long periods of use and feature 40mm drivers with a frequency range of 20 to 20,000hz. The QH-200 headphones can be used at a wide range of volumes with an impedance rating of 32 Ohms and a 105 dB / mw sensitivity rating. These headphones have volume control on the headphones, and a 6-foot cord with 3.5mm stereo plug and 1/4" (6.3mm) plug adapter.